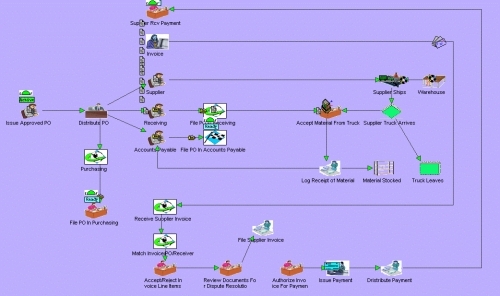 Increase document process flow efficiency using dynamic simulation software - Simcad Pro. Because timely delivery of documents often determines whether or not a person receives necessary information or a deal closes in time, efficient and accurate delivery is imperative for the running of a business. In document-based businesses, such as insurance and financial institutions, documents need to be delivered to the right people, on time, in the most efficient way possible. Simcad Pro’s patented dynamic simulation engine can be used to model and analyze a vast array of office systems to improve the flow of documents and information. Through the use of Simcad Pro, managers, supervisors and other process improvement experts can perform analysis, detect delays within the system, and generate real and feasible solutions. Simcad Pro’s patented technology allows users to create “what-if” scenarios, virtually modify the operations (increase resources, change the pathway of documents, etc…) and visualize the effects of the changes on the system as a whole. 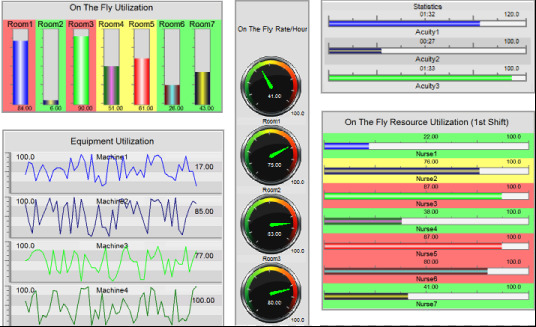 All of the changes can be made “on-the-fly” while the simulation is running, allowing the users to work quickly with the model, saving time and money. Process Flow Simulation Made Easy with Simcad Pro. Due to the high level of variability of document pathways, personnel needs, seasonality and other factors, it is imperative to have the ability to utilize live data, as well as historical data in order to generate mathematically accurate data from the simulation. 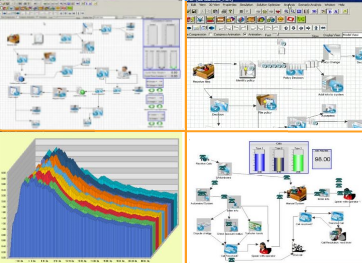 Simcad Pro simulation software allows users to import data from external data sources, such as Excel©, as well as import CAD layouts of offices. With the importation of CAD layouts, Simcad Pro simulation software generates automatic distance calculations to ensure accuracy.